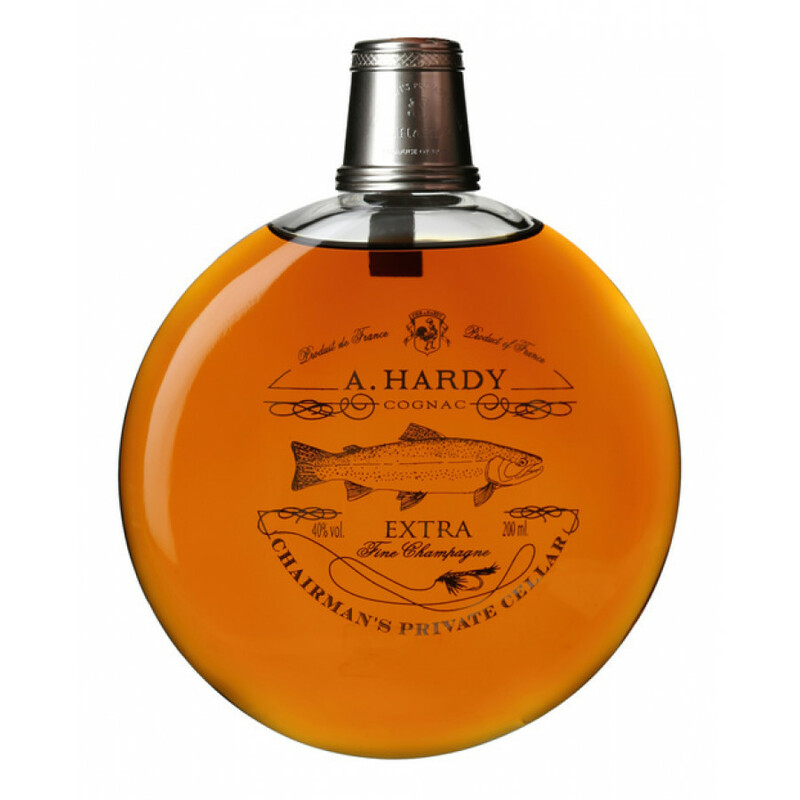 Hardy Fisherman's Chairman's Private Cellar Cognac is a light, sweet cognac with aromas of dried fruit and spices. Medium-dark amber in color, the 'Fisherman' in the title is reference to the memory of Antonie Hardy, the founder of the house, who was an avid fly fisherman. As the name suggests, the bottle is in the shape of a flask, encased in a pouch and presentation box. The cognac is briliant and i have had the bottle for about 25 years now and only started drinking it now it is fabulous and il defnatly buy another if i can find one.. Very intense Rancio Charentais in this old Cognac by Ragnaud Sabourin.